First, a wave of hyperpolarization (negative ions) flashed across the entire embryo, coinciding with the emergence of cilia that enable the embryos to move. Next, patterns appeared that matched the imminent shape changes and gene expression domains of the developing face. Bright hyperpolarization marked the folding in of the surface, while both hyperpolarized and depolarized regions overlapped domains of head patterning genes. In the third course, localized regions of hyperpolarization formed, expanded and disappeared, but without disturbing the patterns created during the second stage. At the same time, the spherical embryo began to elongate. The Tufts team found that disrupting bioelectric signaling by inhibiting ductin (a protein that is part of the machinery that transports hydrogen ions) correlated with craniofacial abnormalities. Some embryos grew two brains rather than one; others had thickened optic nerves or lacked normal nasal or jaw development. Interrupting the ion flux also altered the bioelectric patterns on the embryos’ surface and expression of important face patterning mRNAs (messenger RNA that acts as a blueprint for proteins). A number of ID proponents have argued in the past that, while DNA provides the information for the specification of proteins, it does not in itself provide the information needed for higher-level organization such as the three-dimensional structure of the embryo. This is controlled and directed, at least in some measure, by information beyond the DNA nucleotide sequence. The phenomenon of genomic equivalence entails that every cell of a developing embryo (with the exception of T and B lymphocytes) possesses exactly the same DNA sequence. Different cell types are determined by the patterns of gene expression in respective cell types. But cells must receive information concerning their spatial location within the embryo — so that they “know” to develop into the right kind of cell. This level of organisation cannot be fully determined at the nucleotide sequence level. In fact, many cellular processes which rely on what some have described as “molecular zipcodes” presuppose (rather than determine) a spatial co-ordinate system. Indeed, previous evidence has suggested that DNA methylation patterns are only applied after patterns of gene expression have already been determined by other mechanisms in the embryo. Apart from the numerous other problems that plague current understandings of the origin of new genes and protein folds by mutation and selection, if indeed it is the case that higher-level organization is determined independently of the nucleotide sequence, then it appears even more doubtful that mutating DNA alone can be causally sufficient to explain the origin of new body plans. 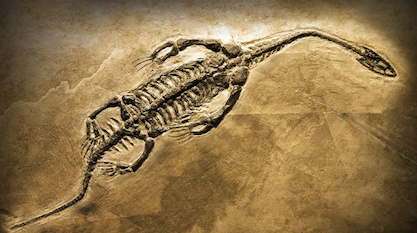 The failure to explain the origin of animal body plans is a fundamental shortcoming of Darwinian theory, and this problem must be explained by any candidate paradigm that purports to provide a basis for understanding life’s origins and evolution.